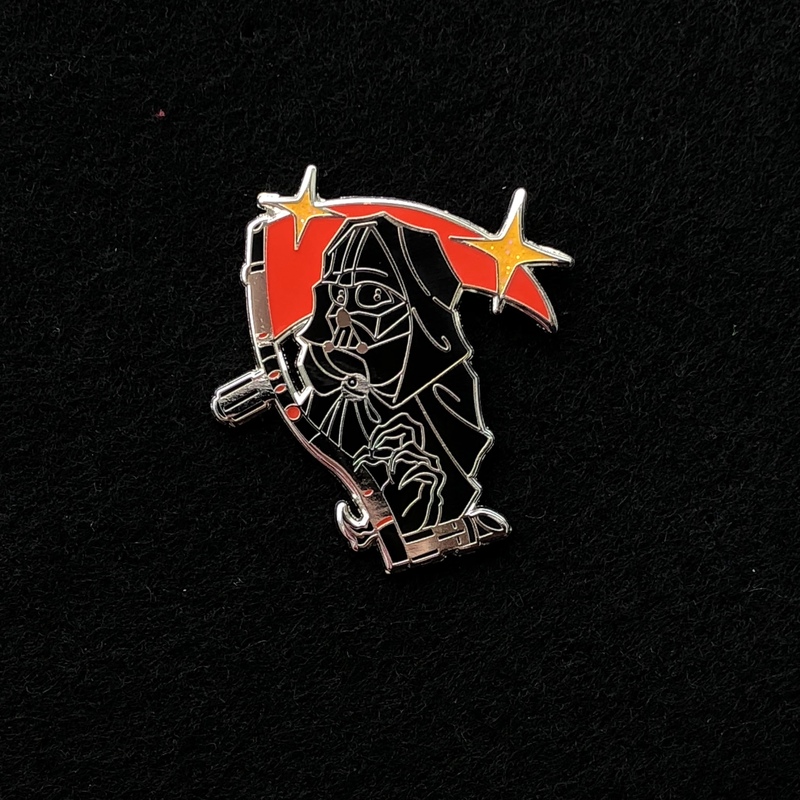 This pin was designed by Joshua Belanger. It’s 1 1/2 inches tall. Hard enamel on a silver colored metal. Vader has his cloak pulled up, his scythe-saber curled around his shoulder and he beckons you to a tragic end. This was originally a pin in our monthly Star Wars Fan club. Each month you can get a pin at a club rate. Click join now in our menu to check it out.